I want to become a Supporting Ledgie, but I do not have PayPal (or any credit for that matter). Is there another way to do it or am I outta luck? This message has been deleted by strandinthewind. Just wanted to say that I supported today and put down the $12 subscription. 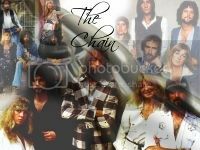 Really love that there is a community here for Fleetwood Mac fans. I just wish sometimes that the signature file size could be bumped up a little. I've been trying to make a sig within the limits of this board but it ends up being too big. Is it me or does it seem like when you Google ANY band/artists for sites, you get like Facebook/Twitter things but not many actual fan's sites anymore? People may think it's antiquated now and maybe it's old school by today's standards but I sure find it more enjoyable to go through fan sites like this then a Facebook or Twitter page, just seems like there's more meat to it or something. I agree. It seems like everyone gravitates towards social media since it has now become the de-facto way for marketing, especially with movies and music, but pretty much everything. I don't mind those sites and use them regularly, but this is why I like message boards. It's more concentrated and you don't have to worry about the spammers trying to sell you something through a comment on an FB page. Within photobucket you can resize any pic to fit the proper specifications to be placed here. I do it all the time. One thing I wish about being a supporting ledgie is that you got more notice when your subscription is due to expire. It seems that you only get a few days notice and then you are no longer a supporting ledgie. I'd like the email a month from when your subscription ends so that you have time to organise the payment. Over the past week, I've tried to subscribe several times without success. When I click on the "Order Using Paypal" button in the User CP, the page I am taken to on PayPal reads: "Things don't appear to be working at the moment. Please try again later." I've tried multiple browsers and different computers; I've also tried logging in to PayPal first before hitting the button. No luck. Yep, my subscription also expired and I get the same PayPal message. Server seems to be struggling a bit these days. I too would like to support but the PayPal error comes up. I think the link to PayPal is fixed now. Last edited by sodascouts : 10-28-2018 at 05:18 PM.